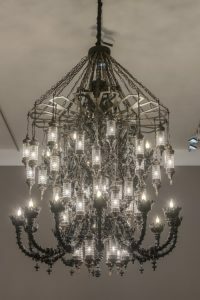 Fred Wilson, a MacArthur Foundation “Genius” Grant recipient in 1999, is well known for his installations that reframe and recontextualize art historical objects and cultural symbols relating to blackness. 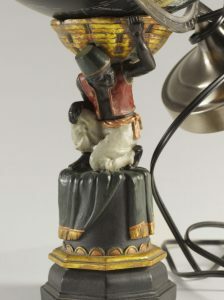 Mining the Museum, an exhibition at the Maryland Historical Society in 1992 was the first major presentation of Wilson’s methods of turning historical research into evocative exhibitions that examine representations of blackness through the juxtaposition of found objects and didactic panels that redirected how the objects were interpreted. 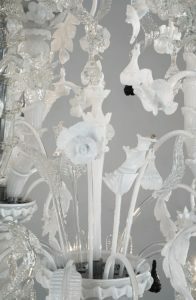 Since then, Wilson has shown nationally and internationally: He even represented the U.S. at the 2003 Venice Biennale. 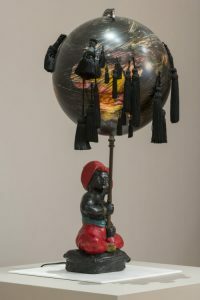 His extensive exhibition, Afro Kismet was originally created for the 15th Istanbul Biennial in the fall of 2017 and was subsequently exhibited at Pace Gallery, London in the spring of 2018, and in their New York City space that summer. 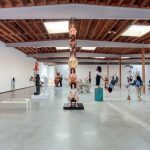 At Maccarone in East Los Angeles, works from the installation Afro Kismet are on view, as well as from Fred Wilson: Black to the Powers of Ten (Allen Memorial Art Museum at Oberlin College, 2016) and the retrospective Fred Wilson: Sculptures, Paintings and Installations: 2004-2014 (Pace Gallery, NY, 2014). 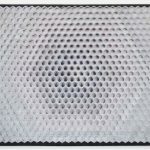 To those not familiar with Wilson’s work and process, at first glance the exhibition has the formality of a museum display. On view are historical prints, paintings and sculptures arranged by Wilson in clusters to illustrate a particular trajectory or narrative thread. 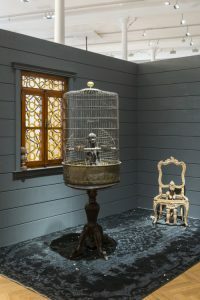 These objects are presented in conjunction with two freestanding wall-sized murals made of Iznik tiles created in collaboration with master Turkish artisans, paintings of flags from Africa and the African Diaspora drained of their colors, and Wilson’s haunting Murano glass chandeliers and black mirrors. Over seven trips to Istanbul, Wilson researched the presence of Africans in early Europe, questioning their erasure in institutional narratives. Afro Kismet is in many ways the result of this research. The first works viewers confront are two freestanding tile walls measuring approximately 9 x 19 feet. These walls are filled with square Iznik tiles covered with intricate patterns. In the center of each are the phrases Black is Beautiful and Mother Africa written in Arabic using traditional Islamic bright blue calligraphy. 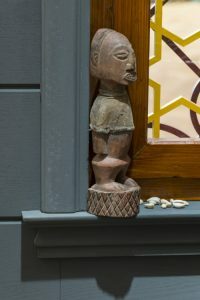 Filling out the front gallery space are myriad African sculptures on pedestals presented in conjunction with paintings from the 1800s alongside Wilson’s commentary, often in the form of appropriated texts. For example in …kept you here (2018), a stone Sherbo spirit head is placed on a pedestal that is printed on all four sides with a line from James Baldwin’s Another Country􏰀. 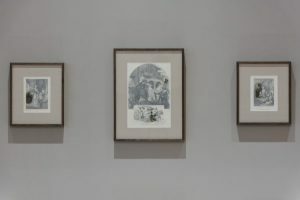 Other works include found figurines fused with black globes (some loosely painted over with black brushstrokes), and framed engravings placed on the wall in groups above vitrines containing cowry shells. Many of the engravings are overlaid with cut translucent paper to isolate lone black figures within the images. 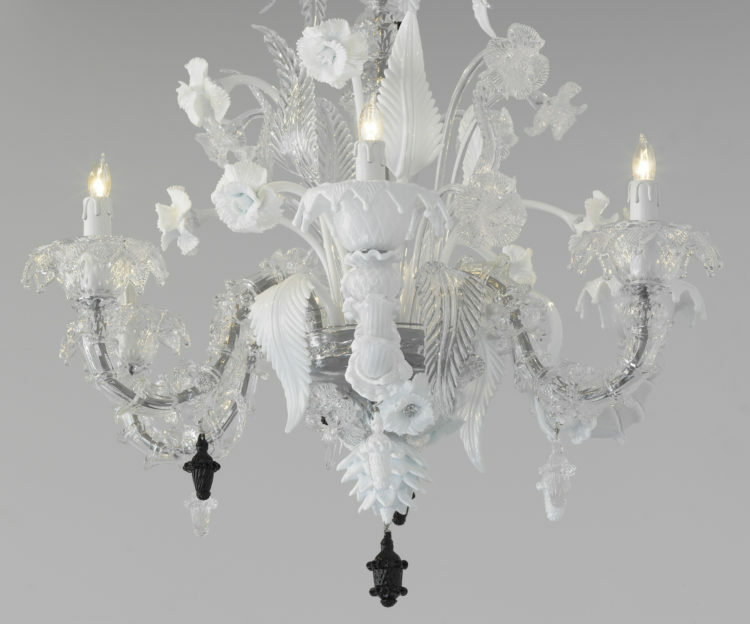 The highlight of the exhibition is Wilson’s glass chandeliers and mirrors. 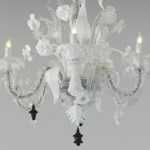 Made from Murano glass, these somber works are infused with historic, cultural and literary references. 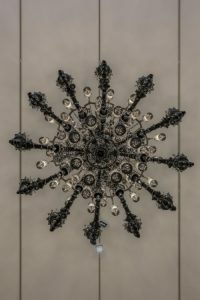 Both the chandeliers and mirrors are modeled on historical objects, with the blackness of the mirrors rendering them devoid of their original functionality. 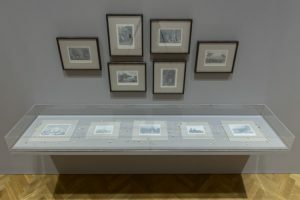 These disparate objects are thoughtfully arranged within the large gallery spaces, inviting viewers to wander back and forth to contemplate the complex and beautiful works in vitrines, on walls and pedestals, as well as suspended from the ceiling. An exhibition guide is available for those who seek to learn about Wilson’s references and the origin of many of the artworks and cultural symbols he has appropriated. 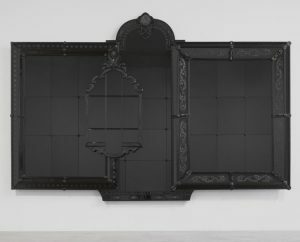 In Wilson’s installations, there is often a moment of uncertainty: Can one visit the show and just look at the objects on view, or is it necessary to read and understand the back story in order to appreciate the thesis that Wilson puts forth? 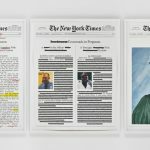 In any case, the exhibition is rich as it poses questions, offers juxtapositions and suggests new narratives about what has been missing and misrepresented with respect to the notion of blackness across cultures and throughout history. This is Wilson’s mission — not to point fingers— but to point out inaccuracies in these representations. To glean the full magnitude of Wilson’s exhibition requires time and subsequent viewings. 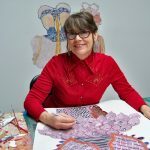 That said, it is not difficult to understand his intentions, the poignant juxtapositions he creates and his unique and thoughtful approach to art making.